Despite the recent growth of careers focused on social media, the field has already developed a reputation for causing burnout. And it makes sense. Social media is a real-time, round-the-clock resource. That means somebody needs to be on call to maintain profiles at any time, and that demanding job all too often falls to a single, overworked person — or at best, a small team when a larger one would be ideal. Community managers need to strike a balance between their intense jobs and their personal needs. Here we’ve selected some steps these busy professionals can take to fully disconnect when they need to, as well as maximize productivity when on the clock. Whether it’s having the right tools or just the right mindset, maintaining work-life balance will help community managers to have long and healthy careers. As in any profession, being able to stay focused on your work is important for community managers. Especially with so many people in this field working remotely, the temptation to drift away from your desk and into the kitchen for a snack can be high. Fortunately, many systems are available to help you stay on task, no matter where or when you’re working. One popular system is the Pomodoro Technique, which involves taking very short breaks throughout the work day in order to maintain focus and creativity. The brief breaks mean that a community manager will never be too far behind a time-sensitive event, so it’s a good fit for that profession. Another option is Getting Things Done, an approach that frees up your mind for accomplishing tasks rather than remembering them. If David Allen’s methodology works for you, then having a tool you like to record and prioritize your work items can be helpful. So investigate Basecamp, Trello, Wunderlist, Evernote, or Todoist and see which one has the best combination of features and design to meet your needs. Whether you choose to follow a prescribed productivity routine or to create your own system, do a little self-reflection to know your work habits and needs. 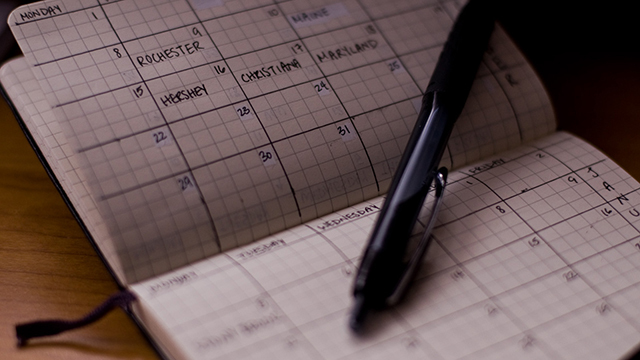 Pick a system that suits your responsibilities, your employer, and your own brain. Once you have a setup that you like, stick to it. Productivity tools make things go smoothly when a community manager is working, but part of creating work-life balance is being able to really disconnect sometimes. If you’re using the same computer or mobile device for your personal life as for your work life, then the line between those two can quickly blur. Be clear about separating them by cutting down on notifications during your personal time. This can be as simple as taking turning off notifications from certain apps when you log out from work. Or you can take advantage of the tools built into some of today’s computers and smartphones to reduce your notification overload. 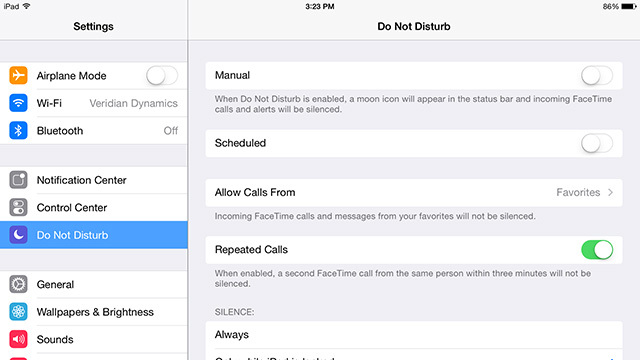 Apple devices have a Do Not Disturb feature that turns off audio alerts. On the Android side, you can download an app called Notifications Off that achieves the same effect. One of the physical challenges to a community manager’s work is the eye strain from constant exposure to computers. Not only can that cause headaches, but when working late hours, it can be hard to wind down after staring at a bright screen. One option for helping to cope with extensive screen time is f.lux. 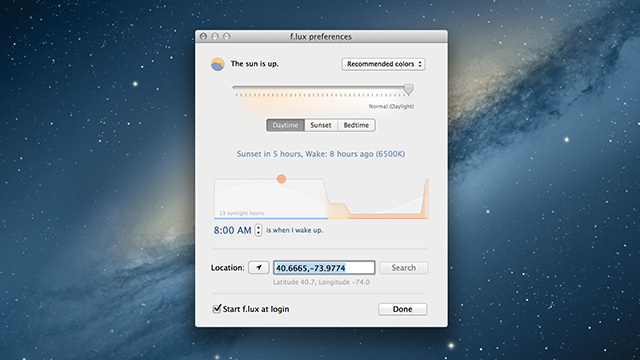 This piece of software changes the brightness of your screen based on the time of day. That means that when you’re writing a post late at night or checking notifications first thing in the morning, your eyes will have an easier time thanks to lower lights. If you don’t want to rely on a program, then a pair of computer glasses can be an essential resource. These filter out some of the harshness when you’re in front of a screen for hours on end. Take one of these routes if you experience eye strain or headaches. It’s important to protect your body, even in what appears to be a non-strenuous position. Smartphones have proven themselves indispensable for both professional and personal uses, but that usefulness has created a catch-22. Without a way to turn off notifications or restrain themselves from checking feeds, community managers may end up working even when they don’t plan to. It might be a few minutes here and an hour there, but the constant drain when you’re not supposed to be working can take a toll. If there are some smartphone features that you use frequently, consider swapping them for non-mobile versions. 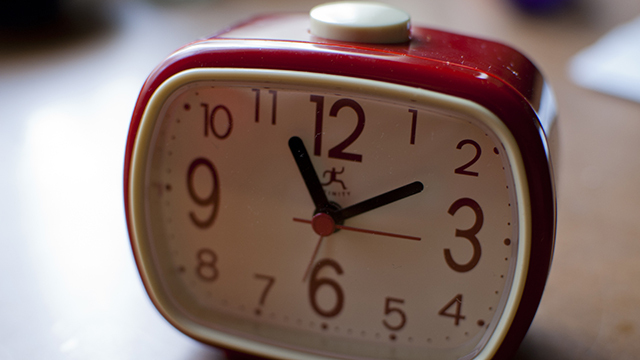 One of the best examples is an alarm clock. Many people rely on their phones’ built-in clocks or third-party apps for their morning alarm, but that means the phone — and all its notifications from the night before — are the first thing those people see. Using a separate alarm clock can create personal space first thing in the morning rather than waking up to a barrage of alerts. Consider which smartphone tools are really a must for your personal life, and look for replacements for the rest to cut down on your mobile device dependence. Remember, all the extra strategies and tips can be a boon to your long-term success, but you also need to be able to excel at your day-to-day activities. Community managers oversee social media accounts, write updates, schedule posts, and collaborate with colleagues. Switching back and forth between windows and apps means items can fall through the cracks. The best way to accomplish all of those crucial tasks is to use a single, powerful social media management tool. 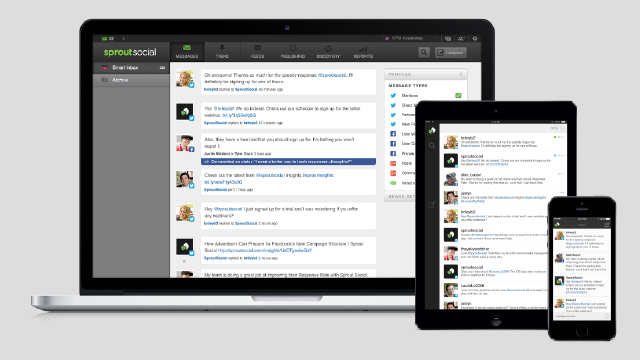 Sprout Social is an ideal choice for community managers. Thanks to its comprehensive suite of features, you can be efficient and effective during your work hours. Not only will it help your individual work-life balance, but with top-notch collaboration tools and customer service integrations, anybody whose work involves social media can benefit from using this system. Social media doesn’t have to be a source of stress. When you couple the right tools and ideas, it can be a rewarding career that lasts for many years.